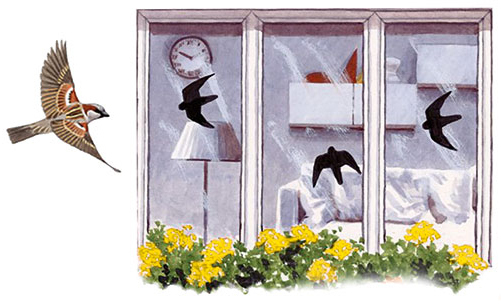 Birds are unable to recognise a transparent pane of glass. 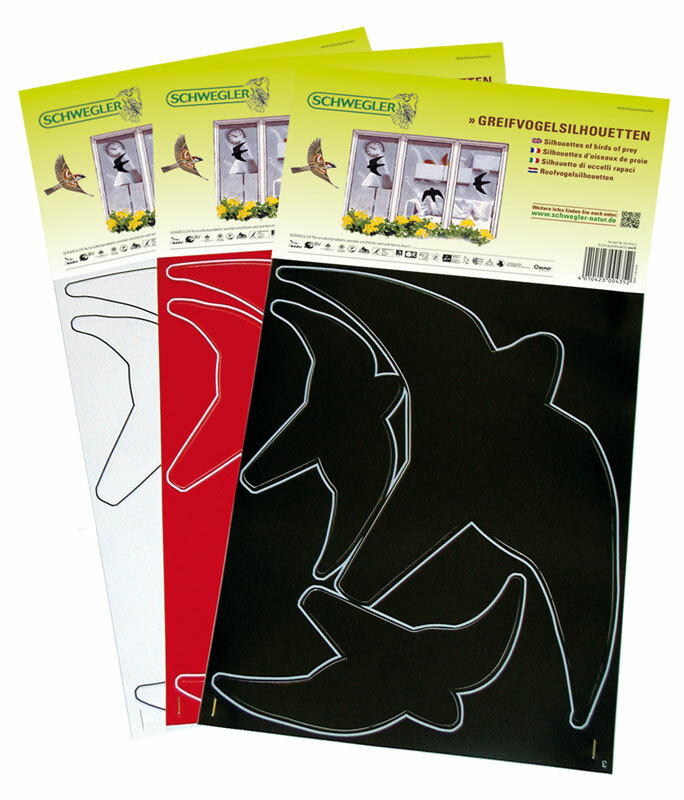 We can help to prevent them from flying into glass and killing themselves by applying these silhouettes of Birds of Prey to windows, conservatories, noise protection screens, bus shelters, etc. Official studies have shown, for example, that two Birds are killed annually for each running metre of transparent noise reduction screens. This is a shockingly large number and every effort should be made to avoid further losses. In a time during which nature is becoming increasingly depleted, we should avoid doing anything that causes further victims in the bird world and sacrifices nature. 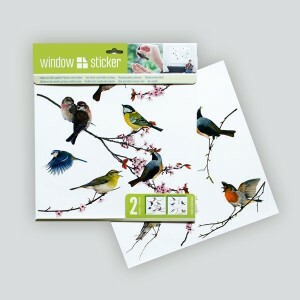 Stickers attached close together over the entire surface, for example, silhouettes, patterns, stripes, are ideal for completely preventing bird strikes. Material: Self-adhesive, high quality plastic film, UV-resistant, which will last many years outdoors. Density: In an extreme case, up to 9 motifs may be necessary for a window area of one square metres. It is sometimes useful to stick them on both sides (mirror effect). Sheets: Each sheet contains three silhouettes in different sizes. Cleaning: Clean only with water and not with any abrasives. Never use stringent cleaning products; also in the interest of the environment.